What is the difference between hypnobirthing programs? What is the difference between Hypnobubs® and other hypnobirthing programs (such as the Mongan Method)? Firstly, 'hypnobirthing' is a descriptive word that is used to identify the use of hypnotherapy with childbirth. Anyone can use the word 'hypnobirthing' or 'hypnobirth' or 'hypno-birthing' to describe what they do. There are many different types of 'hypnobirthing' programs/courses/tracks available throughout the world. A selection of these hypnobirthing courses incorporate 'childbirth education' and others just cover the use of hypnotherapy for pregnancy and birth. Some of the world's most popular hypnobirthing courses (that also provide a childbirth education focus) are hypnobubs®, Wise Hippo Program, Hypnobirthing Association (UK) and HypnoBirthing - the Mongan Method. In addition to these there are also programs such as Calmbirth and Hypnobabies who don't describe themselves as teaching 'hypnobirthing' as such, but have similar content, so are often put in the same category. It is important to note that there are a plethora of cheap imitations created by people who do not hold the qualifications, experience and expertise required to write a childbirth education program. Like most things in life, you get what you pay for. It is not worth compromising on your birth; so please do your research before choosing the right program for yourself and your baby. The main difference between hypnobirthing courses is the general approach that they take to teaching childbirth education, content included, the expertise of the instructor and the quality and quantity of resources provided. At hypnobubs®, our aim is to make quality childbirth education incorporating hypnobirthing techniques, more accessible to more parents throughout the world - so hopefully this article will help you in deciding on the best course for you! For the purpose of this article, I will specify the differences that I have identified between the hypnobubs® course and HypnoBirthing - the Mongan Method; as I possess personal and professional experience with both programs. The main aim of the hypnobubs® course is to help prepare you for a positive birth. We do cover possible interventions and make reference to how the different tools can be used during a change of circumstances, throughout the lessons. I have found that sometimes parents who attend the Mongan Method training can feel that they have 'failed' if they haven't achieved a 'natural' birth. This saddens me because, in my opinion, women cannot possibly 'fail' at birth. We put our bodies on the line for our babies and do the best we can do with the circumstances that we have. Although the Mongan Method program and book talk a lot about removing 'fear of birth' - I have received a lot of feedback from parents, caregivers and past teachers of the program that the book and course sometimes actually create fear... fear of possible interventions, fear of failure and sometimes distrust of caregivers. Hypnobubs® works hand-in-hand with caregivers. We are not into 'fear-mongering' and are thankful to have access to the wonderful medical care of the modern world, should we need it. We equip parents with the research and resources to help them make informed decisions along the way. Hypnobubs® is very down-to-earth - we prepare for all types of births (and even have a special add-on or specific courses that cover a 'Positive Cesarean Birth' in more detail)... our focus is on a positive birth. Another big difference between our hypnobubs® hypnobirthing online program and the Mongan Method is the way we teach breathing techniques for birth. Our breathing techniques are not prescriptive. We do not encourage you to count to up to a ridiculous number when breathing through your surges (contractions). Most importantly; for the 'pushy' stage of birth, we teach you breathing/bearing down (mother-directed bearing down/pushing). We advocate for the mother going with her instincts. If she feels the urge to hold her breath for a bit and then bear down/push... then that's what she does! Instinctual birthing, mother directed, the mother is the expert in the sensations of her own body and baby. The Mongan Method teaches mothers to 'breathe their baby down' gently and mothers who are following the HypnoBirthing Mongan Method breathing technique have often commented that they feel like they have failed when they have the natural urge to push/bear down. From experience, some mothers actually end up suppressing their natural urges to bear down due to the way this breathing style is taught in other programs. Not cool. I am not a fan of this at all and I know that a lot of caregivers (midwives and obstetricians) do not agree with this part of their tuition, either. In fact, I am directly opposed to this content in the Mongan Method. Even when I taught the course myself for a few years, I used to instruct the parents in my classes to put a big fat line through that section (and some others) in the book. :) I do not recommend that book to hypnobirthing mothers at all, now - because there are a number of aspects of it that are in direct opposition to my own personal and professional beliefs (ie. breathing techniques taught and possibly inciting fear of interventions). The hypnobubs® course is modern and up-to-date. We utilize technology to give you access to up-to-date information and ensure that the content and resources are easily accessible to you 24/7 (via your phone, tablet or computer). We continue to update and improve our content and resources. We encourage (and direct) parents to the research and evidence supporting the content of our course. Unlike the Hypnobirthing - Mongan Method, the hypnobubs® course draws on the expertise and knowledge of a large range of birthing experts. It is not written from the perspective of one person. It is a collaboration of the knowledge, tools and experience shared by birthing experts throughout the world. We ensure that parents who attend our course are provided with the most up-to-date and relevant information to help them prepare for a safe, positive and empowering birth experience. The tuition is presented by myself, Melissa Spilsted, and I possess extensive personal and professional qualifications and experience in this area. 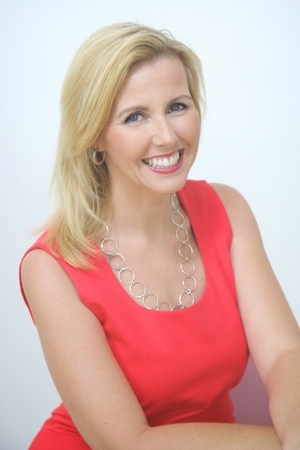 I am also the director of Hypnobirthing Australia™, which is Australia's leading hypnobirthing childbirth education course and taught in hospitals and independently throughout Australia. You are receiving tuition and personal support directly from one of the world's leading experts in hypnobirthing. This can provide you with peace-of-mind. The training materials that are provided with the hypnobubs® course are of professional quality and extensive compared to other programs. You have access to over 6 hours of video tuition, practice videos, a large range of mp3s for pregnancy and birth, links to additional research and ongoing support throughout. You can learn more about what is included here. Flexibility is another big difference between programs. The best time to complete a hypnobirthing course is when you have the time, availability and head-space, yourself! You can complete the hypnobubs® course at any stage of your pregnancy, at times that suit yourself and your partner and you have the ability to go back over the material as many times as you wish. Access is available for a full 12 month period. This can be invaluable in the week/s leading up to birth. Hypnobubs can provide parents access to additional support and resources along the way. 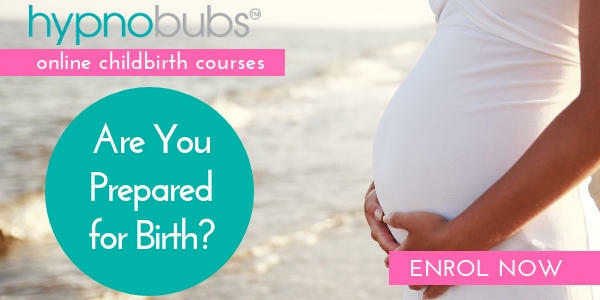 You can choose to upgrade to one-on-one support with their own hypnobubs® Practitioner; and we also have materials available to support parents for cesarean birth, breech baby position, anxiety/fear, induction, breastfeeding etc. The hypnobubs® program is a comprehensive childbirth education course that does incorporate 'hypnotherapy' and 'self-hypnosis' techniques (they are a wonderful tool! ); but they actually only form a small part of the content included in the program. Positive Mindset - we teach you the psychology of birth and how our thoughts and directly affect our body and the birth process. Tools (such as self-hypnosis, relaxation, breathing, massage, visualization, decision-making strategies etc.) to help us to stay calm throughout pregnancy, birth and afterward. We don't just 'teach' the tools, we also give you plenty of resources to continue your practice and use during birth. You will have a very comprehensive toolkit to draw upon during your birth. Knowledge about how our body and mind work (to help remove the fear of the unknown and help us to prioritize keeping calm throughout), the hormones of birth, physiology, possible interventions, what to expect in pregnancy, labor, birth and afterward. Knowledge is power. The knowledge component of the hypnobubs® course is much more comprehensive and straight-forward than other programs. Support of our birth partner/s (there is even a special section of the course which is dedicated to the birth partner, so they can complete the whole course with the birthing mother or just complete that section - either way, they are going to be much better prepared to be a wonderful, supportive partner during our birth)... our caregivers... and hypnobubs® support staff and community. Yes, we keep in touch with you. You can ask questions along the way. We continue to support you throughout your pregnancy. hypnobubs® isn't just a 'course', it is a network consisting of hypnobirthing experts from throughout the world and hypnobirthing parents who are all here to support and inspire you. Preparation. The key to success. We teach the content and then provide you with an achievable method of ongoing preparation for body and mind. You have all of the resources that you need and access to ongoing support in your preparation for a positive birth. We make it easy for you to access the materials and support you need to prepare for a positive and empowered birth. You have the online (and face-to-face if you wish) ongoing support, the method of preparation that has been tried and tested by thousands of other parents worldwide and up-to-date resources/training materials. I hope that this article has provided some clarity on the differences between hypnobirthing courses. Ultimately, all of the hypnobirthing programs are utilizing hypnotherapy for childbirth, and all of the major programs are incorporating childbirth education into their content... however, as you can see, not all programs are created equal. Choose the course that aligns best with your own approach to birth. You can learn more about the hypnobubs® hypnobirthing online course, here.